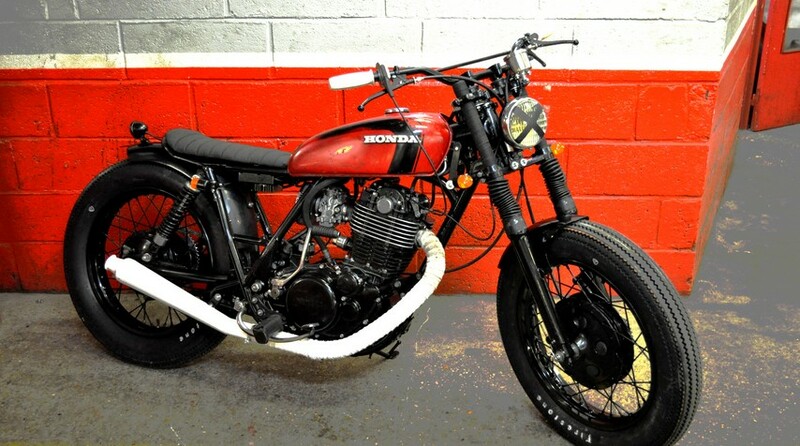 On a Yamaha 500 SR 48T basis, here is what we imagined could be the perfect illustration of the "fifties spirit". The usual and "too many times seen" Firestone Deluxe tyres. Still for a "fifties" inspiration, what else could we do? 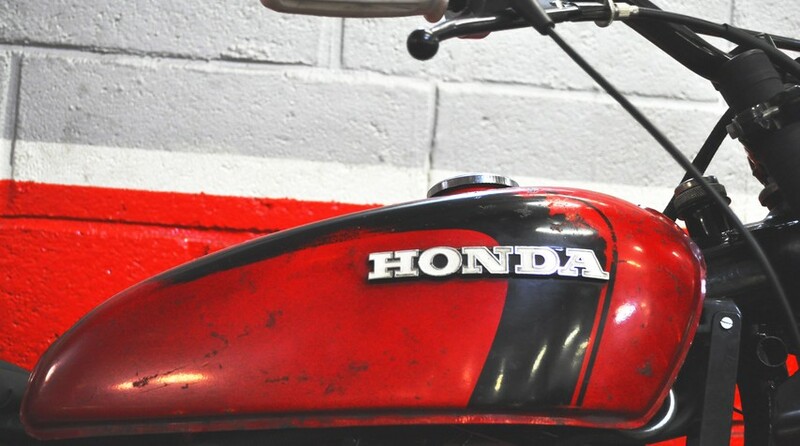 We mounted a Honda CB 125 tank. Red was of course the only colour option. And as usual, the tank was mounted as found: with its unique "patina". - K&N air filter and breather. 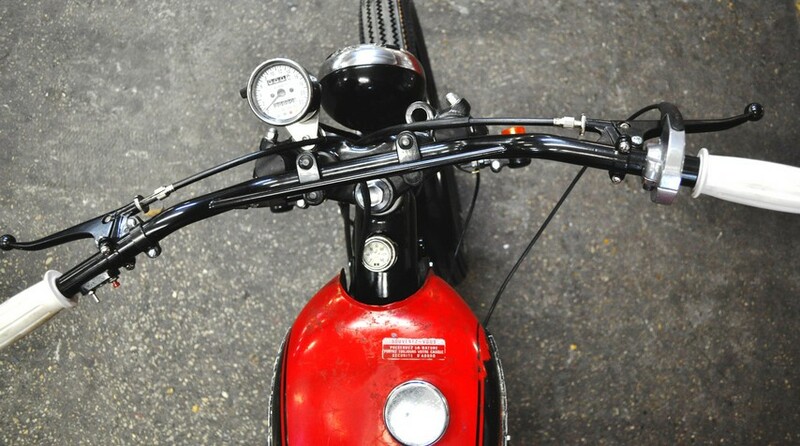 - Blitz Motorcycles bespoke "electricity box". 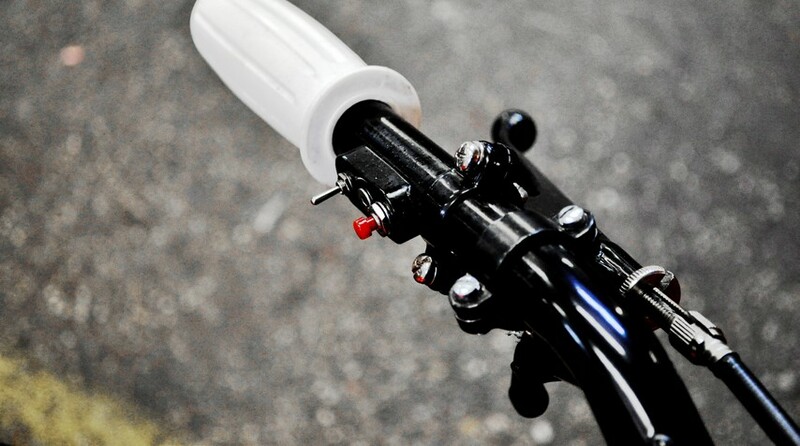 High temperature white painting of the exhaust to match the grips. 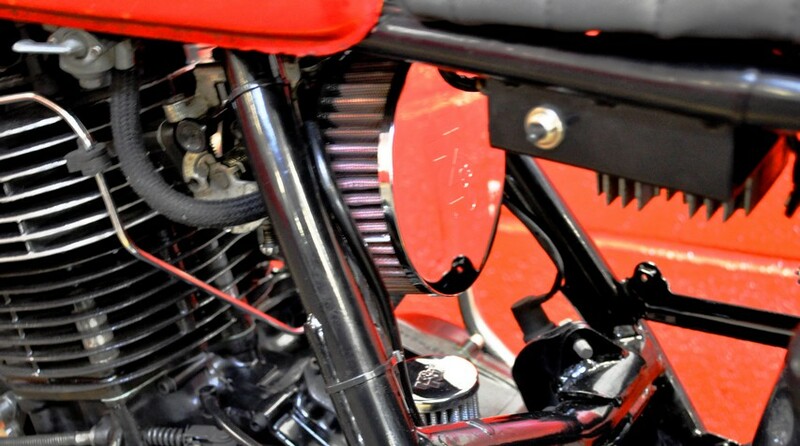 - Engine entirely rebuilt and high temperature mat black / shiny black painted. - Headlight found in a swapmeet. Seems to come from a rallye race cars from the 70's.